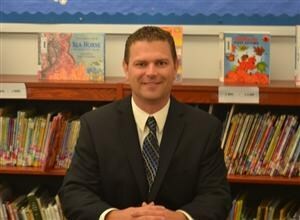 In July 2013, Mr. Jason Cendroski became principal of Sunset Valley Elementary School. Previously, he spent two years as assistant principal at Gateway Middle School. Prior to his administrative position, Mr. Cendroski spent three years as a Baldwin-Whitehall Resource Teacher on loan to ASSET Inc. ASSET is an education-improvement organization that provides inquiry-based science and math professional development to teachers throughout Pennsylvania. His experiences also include five years teaching fifth grade at Whitehall Elementary within the Baldwin-Whitehall School District and two years teaching fourth grade at Duquesne City Schools. Mr. Cendroski earned a Bachelor of Science Degree in Elementary Education from The Pennsylvania State University and a Masters Degree in Educational Leadership from the University of Pittsburgh. In addition he holds a Pennsylvania Curriculum and Instruction Certificate and a K-12 Principal Certificate.